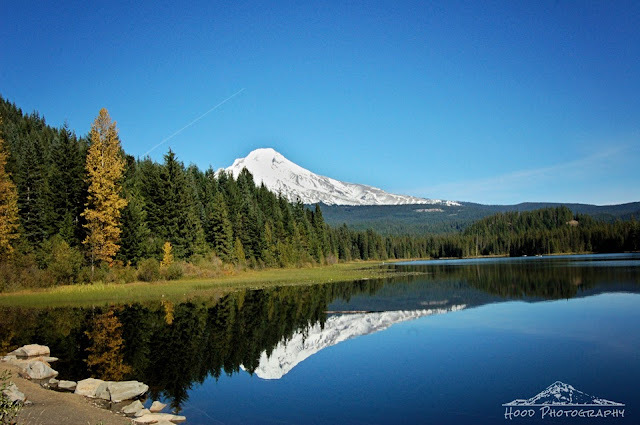 I could not resist posting one last view of Trillium Lake, with Mt Hood looming in the distance, and the trees changing their colors along the banks. I will miss this place until it opens again in late spring! "Like" Hood Photography on Facebook! Thanks! Pretty much breath-taking. Thank you. So pretty and I love that bit on contrail in the sky! Soooo beautiful! The reflection is gorgeous! what a stunning shot! wowowow! A lovely photo, great blue sky, lovely reflections! Superb capture for the day and Mt Hood gets more beautiful by the day!! Love it!! Thanks for sharing the beauty!! Have a great weekend!! Indeed, a gorgeous spot! I bet it is also beautiful in winter with snow. Images like this make me daydream. Awesome photo...I love the jetstream you caught off in the distance by the mountain. Totally love this capture! Lovely reflection pic of a magnificent mountain! Love the reflection image. Well done. WOW, that's about a gorgeous a scene as they come! Yowza! I'm so glad you came by to share on Rurality Blog Hop #36!